A triple-A rated bond yielding 300%. Nothing weird there. 69 companies spanning the globe have boosted their debt levels by 50% or more in the past 5 years and now have at least $5b of debt. Together, they’re sitting on almost $1.2 trillion of bonds and loans, most of it rated junk. Masayoshi Son and Elon Musk leveraged their dreams to the hilt. Patrick Drahi stockpiled debt to build a global cable empire. Michael Dell loaded his computer company with risky loans to buy out activists threatening his control. And a group of Chinese developers borrowed big to expand in the nation’s booming property market. Call them the titans of junk. 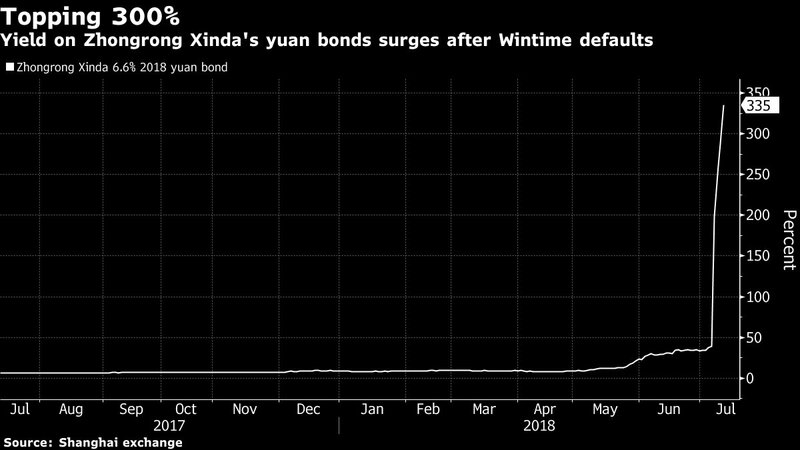 They’re the headliners in a decade-long, $11 trillion corporate borrowing frenzy, fueled by central banks that flooded the global financial system with ultra-cheap money. Investors have been lending to virtually anyone willing to pay a decent yield. But now the easy money is coming to an end. Policy makers, after driving interest rates to unprecedented lows, are hiking those rates for the first time in 10 years. For many companies, it will bring new financial pressures. And for some of them, those pressures could trigger disaster. Bloomberg News delved into corporate filings, debt offerings, M&A deal tables and bond indexes to find the biggest beneficiaries of this decade of loose lending. The search identified 69 companies spanning the globe that have boosted their debt levels by 50 percent or more in the past five years and now have at least $5 billion of debt. 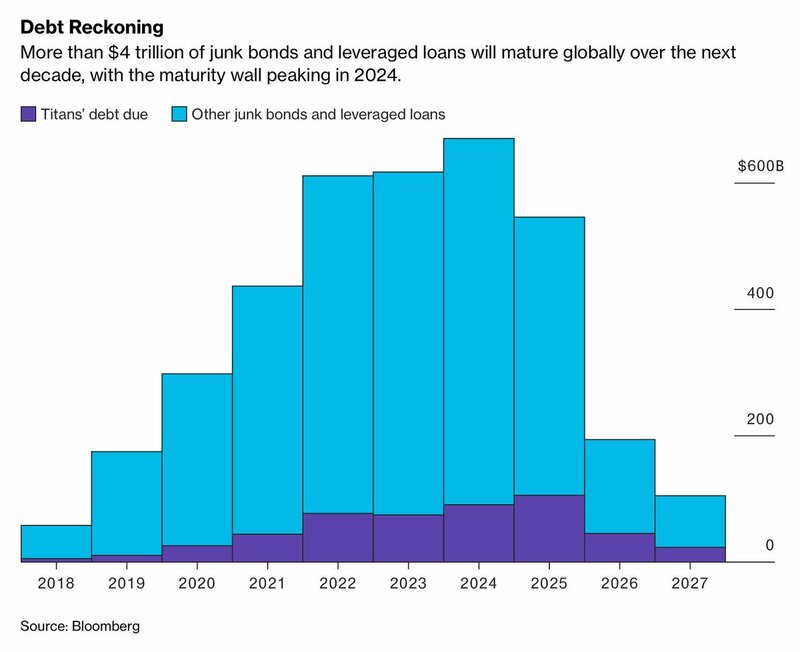 Together, they’re sitting on almost $1.2 trillion of bonds and loans, most of it rated junk and the majority due within the next seven years.